The band will be Mike Rosso. Beginning lessons at 7:00PM and live music 7:30-9:30PM. The dance moves are like square dance moves and directed by a caller. Live Music and Lively Dancing! Dessert potluck. $7 ($5 AVMAD members). Manipura Juice Co. presents global leader in conscious music & heart-centered living, Mike Love! 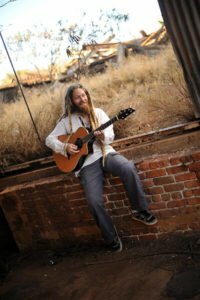 Join us for his "one of a kind" original style of reggae music at "The Heart of the Rockies" Salida SteamPlant Theater. This year's show promises to be the most exciting & uplifting event yet with Denver-based DJ CAVEM as our special guest.